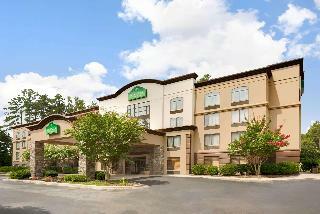 This delightful hotel is situated just off Interstate 85 in Durham. The hotel is located next to the Northgate shopping centre, affording guests the opportunity to indulge in a spot of retail therapy. The hotel offers guests the perfect setting from which to explore the area and its wealth of attractions, including The Museum of Life and Science. This charming hotel greets guests with a sophisticated architectural style, welcoming them with the promise of a relaxing stay. The guest rooms are beautifully appointed, featuring soothing, refreshing tones and rich furnishings. The rooms come complete with modern amenities for added comfort. This delightful hotel features a range of excellent facilities, catering to the needs of every type of traveller. 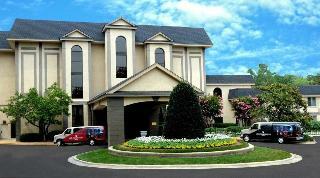 This hotel is conveniently located in the Research Triangle Park area, just minutes away from North Carolina Central University, Duke University and the Raleigh-Durham International Airport. Additional area attractions include Lake Crabtree County Park, William B. Umstead State Park and Carolina Theatre. 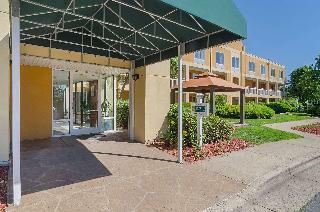 The establishment provides comfortable accommodation and modern amenities. Facilities available to guests include complimentary airport and area shuttle service and free of charge high-speed Internet access. More active guests can keep up their fitness routine in the on-site exercise room, and those who wish to unwind can make use of the seasonal outdoor pool and hot tub. 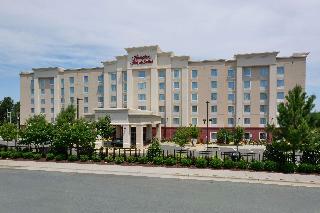 The hotel is centrally located near the intersection of Interstate 85 and Highway 15-501, just 3 km from Duke University. 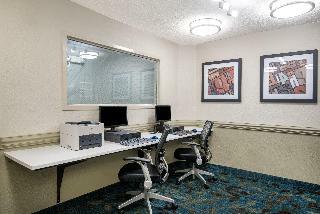 This Durham hotel is minutes from Bennett Place, North Carolina Central University and Historic Hillsborough. A variety of restaurants and cocktail lounges are located in the surrounding area. Full-service amenities and features include free continental breakfast, free Internet access and free weekday newspaper. Business travellers will appreciate conveniences like computer hook-ups and access to copy and fax services. All spacious guest rooms are fully-equipped as standard featuring coffee makers, iron sets and cable television. In addition, some rooms have refrigerators and microwaves. For leisure, guests can use the outdoor swimming pool. This lovely hotel can be found in Durham. There are a total of 313 guests rooms on the premises. Both wired and wireless connections are available for guests' convenience at the communal areas. The reception desk is open all day long. Pets are not permitted on the premises. Visitors may take advantage of the car park. This lovely hotel is set in Durham - Chapel Hill. The establishment features a total of 125 accommodation units. Those who dislike animals may enjoy their stay, as this property does not allow pets. This comfortable hotel is located in Durham. The accommodation comprises 88 cosy bedrooms. Staybridge Suites Durham-Chapel Hill-RTP is not a pet-friendly establishment.